What will the marketing landscape look like for companies and organizations as Virtual Reality becomes more commonplace in the Emerald City? I looked at existing businesses and organizations in the Seattle area that could heighten their marketing opportunities with this emerging media. Safeco Field felt like a natural fit, with it's engaging experiences and unique space. 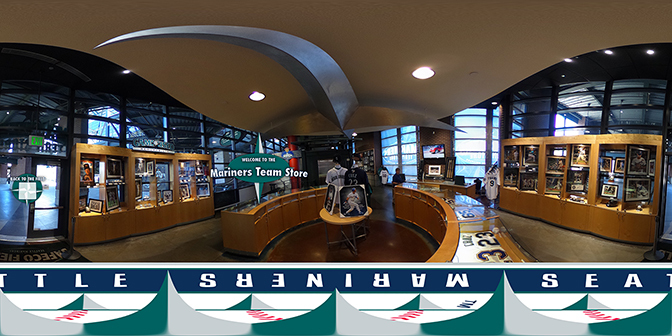 I developed a 360 experience highlighting Safeco Field, home of the Seattle Mariners. 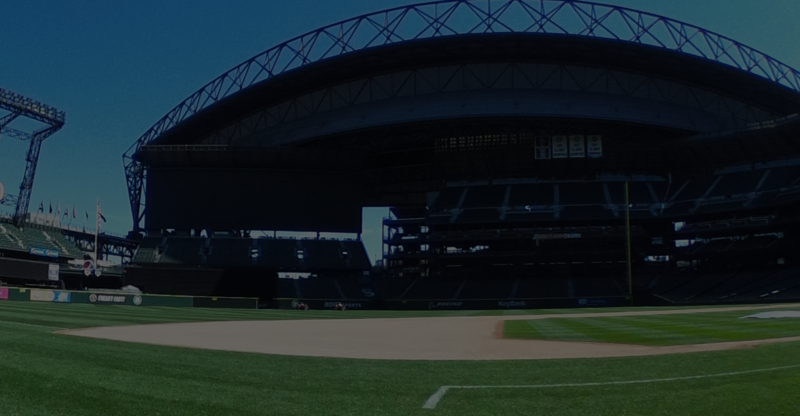 Tours of the stadium are offered, allowing for fans and tourists to learn about a place that combines baseball, history, and the city of Seattle. 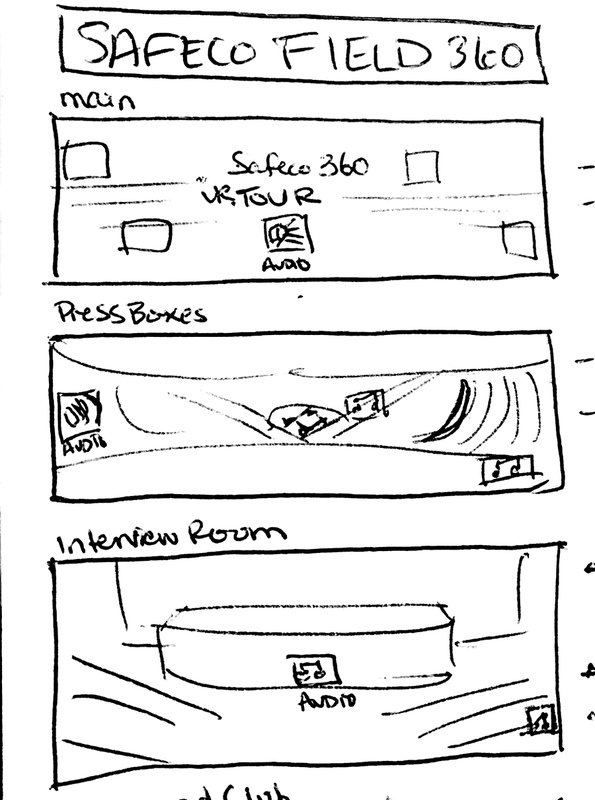 This first iteration prototype presents a way to virtually experience areas highlighted on the Safeco Field tour. 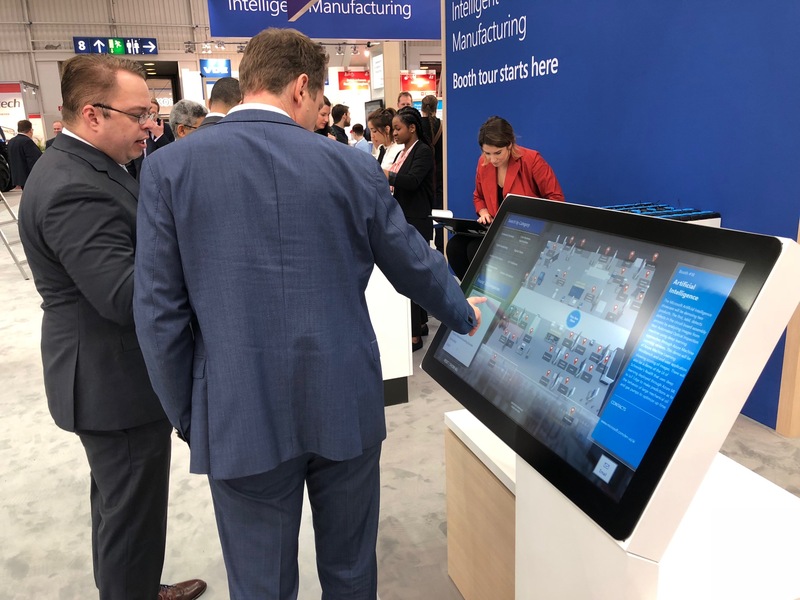 Not only does it put fans on the cutting edge of technology, but it gives viewers a more intimate and engaging experience of stepping right onto the grass of the stadium. 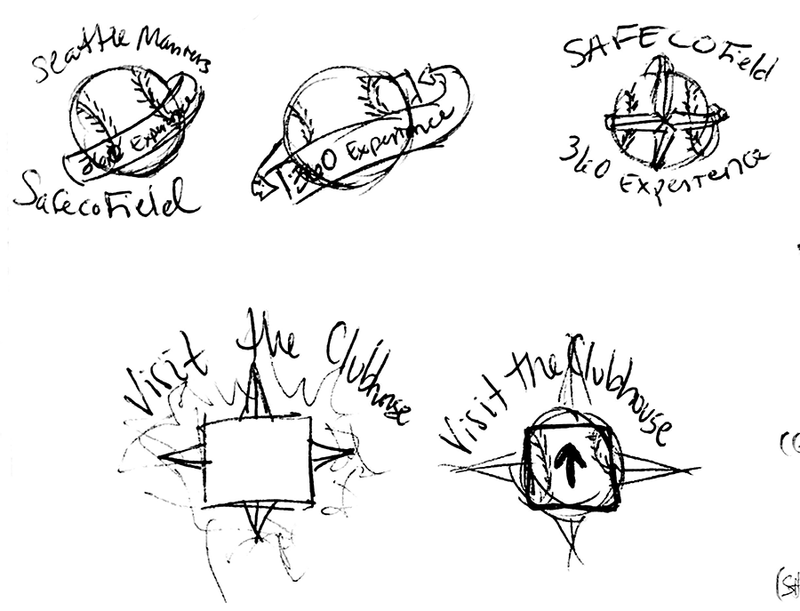 After creating the image assets, I sketched what elements were needed for the navigation of the 360 space and the most appropriate placement for interact hotspots and media. created over a 48 hour period.